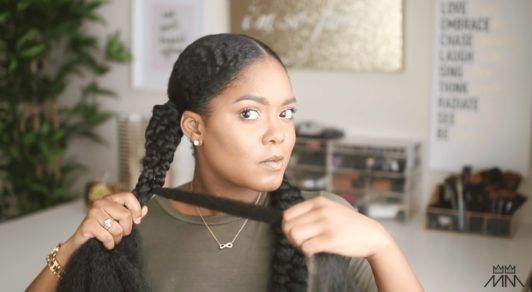 How to create a braided hairstyle inspired by NYFW. Now that NYFW is over, it’s time to try out all of our favorite hair trends that we saw on the runway. This time, our girl Mini Marley is getting in on the fun with a cool braided hairstyle inspired by the fishtail braids created at the alice + olivia show. The fun thing about hair trends is that you don’t have to create the exact look. Take some inspiration from the styles you love and make it your own. 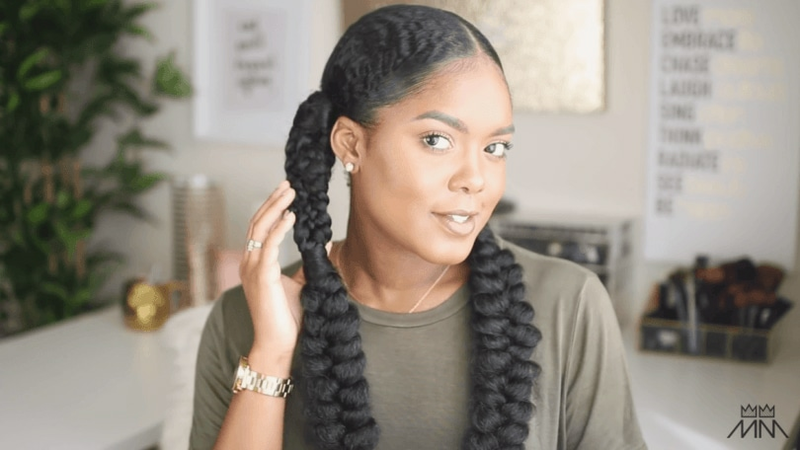 This is such a cool hairstyle to wear while having some weekend fun, or even for date night. 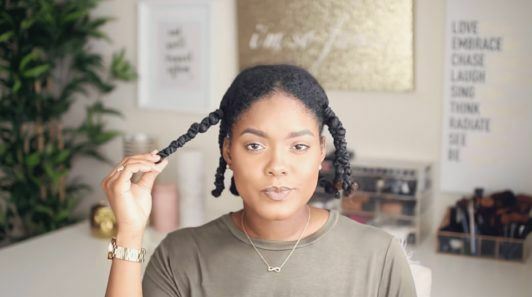 The best part: It’s super easy to do at home with the help of Mini Marley’s tutorial! 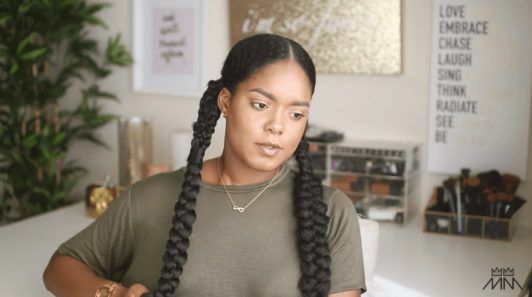 Read on to learn how to create this stylish and creative braided hairstyle at home! 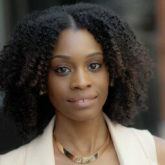 Use the banding technique to stretch naturally curly hair. Divide hair into four-six sections then create a ponytail for each. Wrap hair elastic around the length of your hair for each until you reach the ends. Create a neat and straight part down the center of your hair to create two ponytails on each side of your hair. 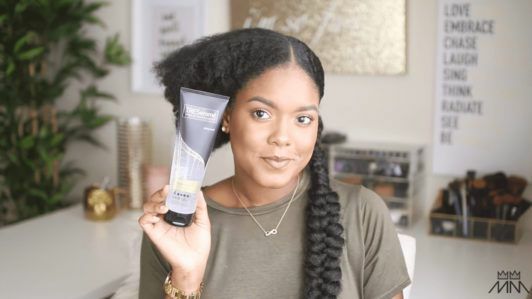 Use TRESemmé Extra Firm Control Gel to smooth down your hair and to help keep your style in place. Work product through and smooth. Use a boar bristle brush to work the gel through your hair and to help smoothen. 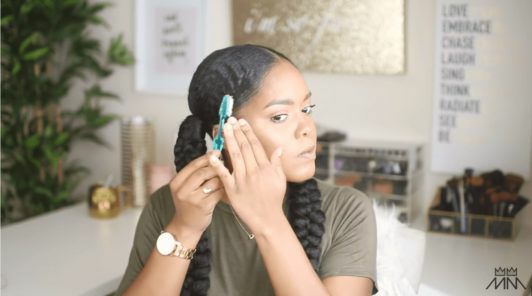 Once you’re done create a low ponytail on each side. Split the ends of your ponytail into three equal sections like you’re preparing to create a braid. Clip two of the sections away and begin working on one section. 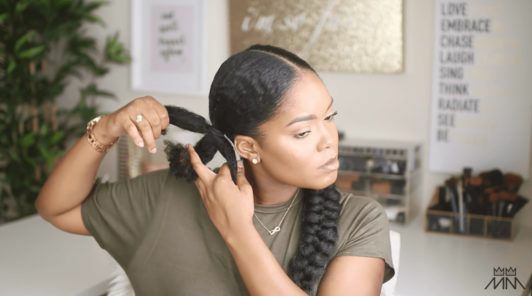 Before attaching the braiding hair to your ends, pull the ends of the extensions to create an uneven finish. 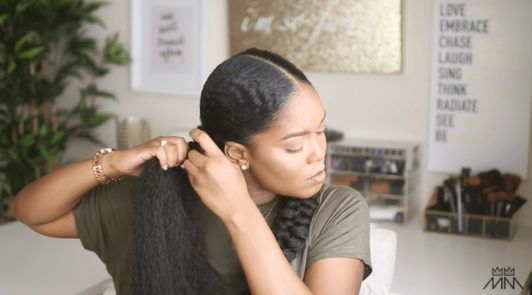 This technique will help you finish your braid towards the end. If you leave the ends with a blunt, even finish it makes it harder for the braid to stay put. To attach the extension, hook the bended section over the base of your ponytail. 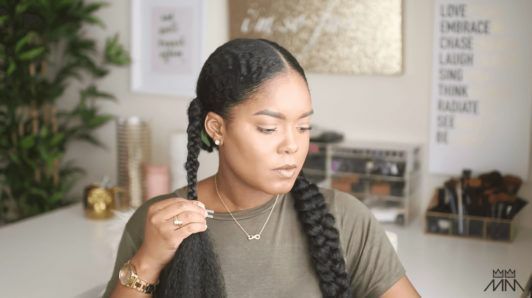 Split the section of hair into three to create your braid with the extension attached. Braid hair until you’ve reached the middle, then clip to keep in place. Repeat the same steps on the other two sections you clipped away in Step 5. 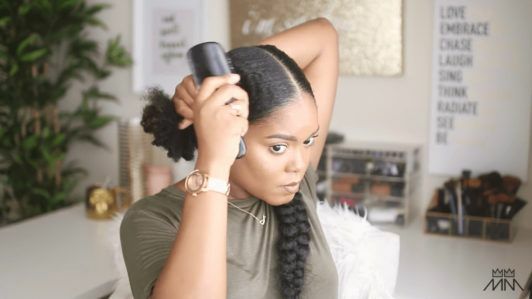 Braid all three sections of hair until you’ve arrived at the middle. Take one strand of hair and wrap around the braid to fasten. After wrapping your mid-point, continue braiding the length of your hair all the way down to the ends. 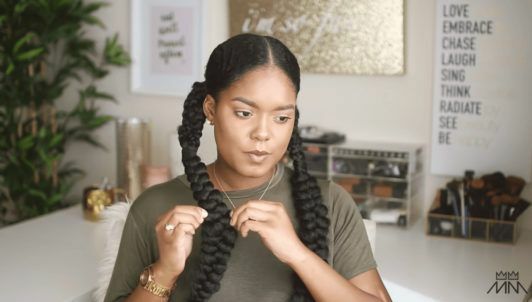 Pull your braid apart to make it looser and create a messy effect. Apply mousse to set hair. Use TRESemmé Flawless Curls Extra Hold Mousse to set your hair in place. Simply smooth the product onto the base of your hair. 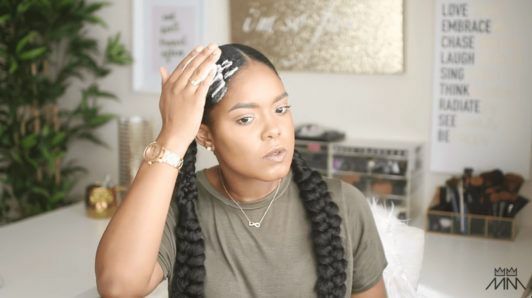 Apply TRESemmé Extra Firm Control Gel to your hairline to smooth down your edges and to sculpt your baby hair the way you like them. Use a brush (or a toothbrush!) 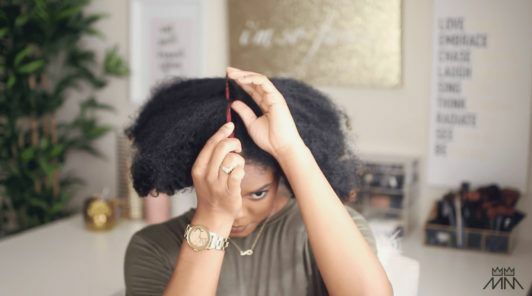 to help you tame the fine pieces of hair. 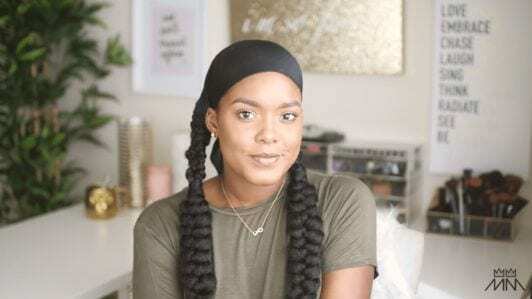 Place a silk scarf over your hair for a few minutes to help set your hair in place. It may be best to keep your scarf on until the product dries, then remove to finish your look. If needed, use some hairspray to tame flyaways along your braid or embrace the messy look. 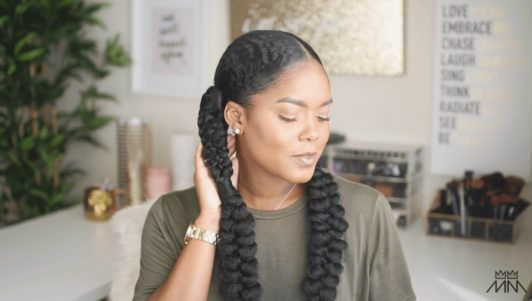 Loved this braided hairstyle? Learn how to create the fishtail braids from alice + olivia.